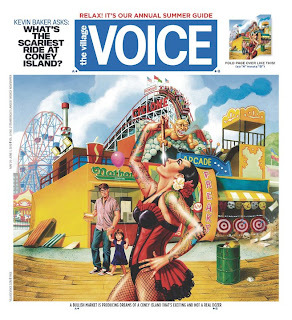 Caption before folded: A bullish market is producing dreams of a Coney Island that’s exciting and not a real dozer. Now the caption reads: A bulldozer. Al Jaffee’s fold-ins have been a Mad staple since 1964. He’s 89 years old and still doing them. God bless ‘im!